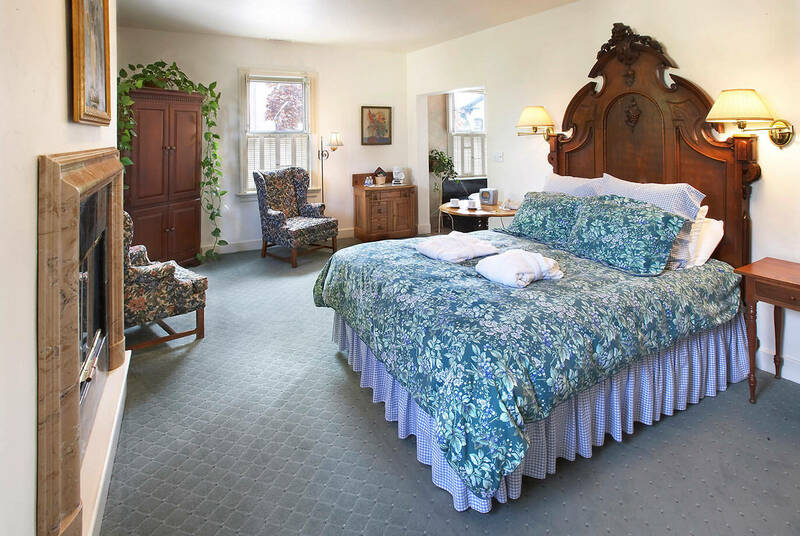 The Norma Schliefer room is located on the second floor of the Schroeder Guest House in one of the most unique places to stay in Wisconsin. 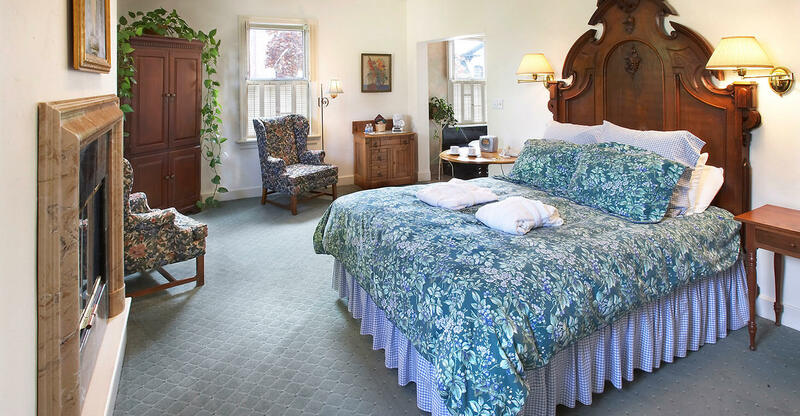 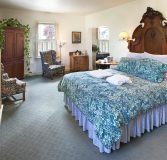 It has a comfy queen bed topped with an impressively high and richly carved headboard. 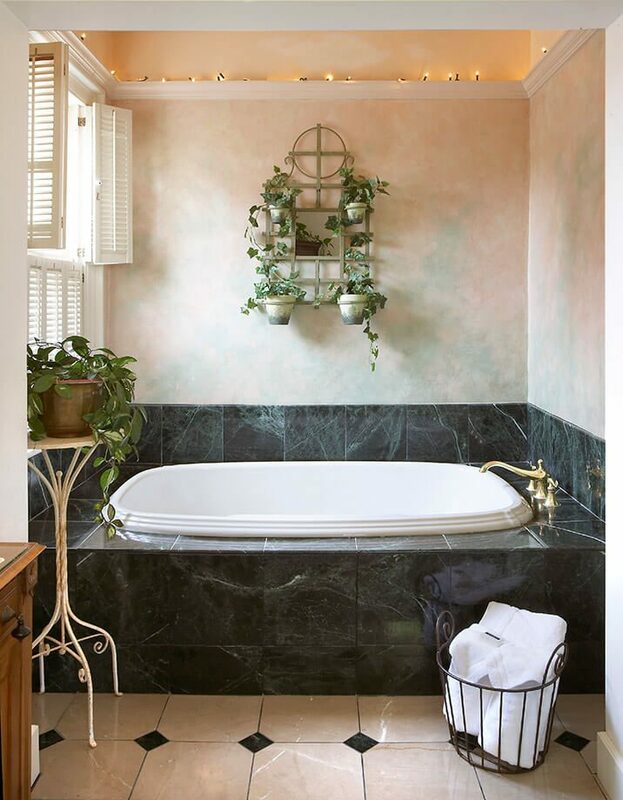 The over sized Whirlpool is delightfully surrounded by a soothing mural. 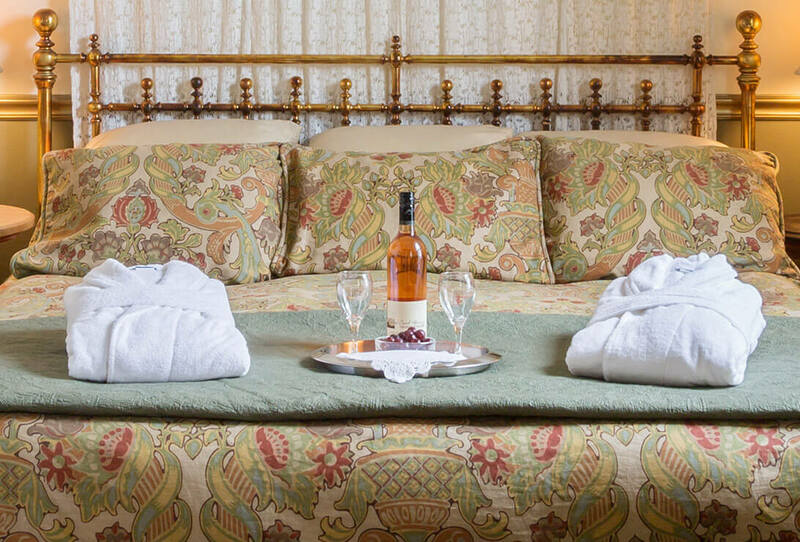 A welcoming fireplace and walk in shower complete this romantic room. 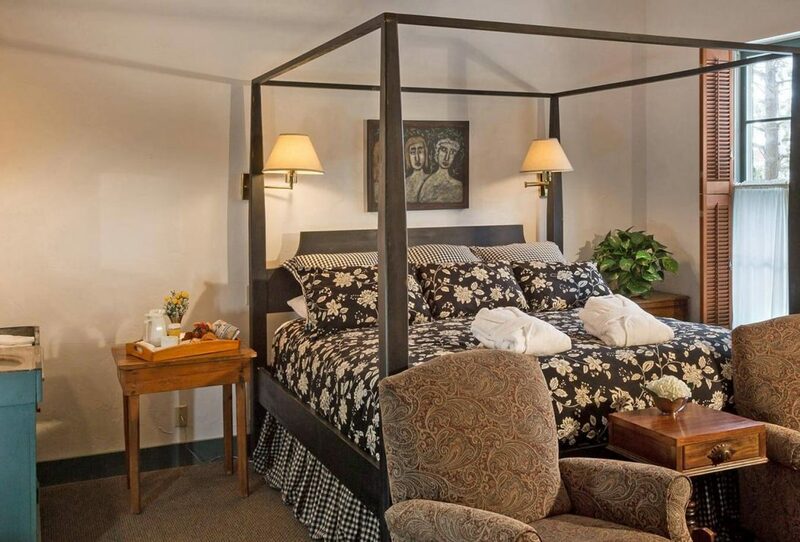 Relax here and enjoy all the small town charm that Cedarburg, Wisconsin has to offer.